Mycorrhizae inoculation is achieved by incorporating beneficial fungal spores into the soil for trees. These spores colonize roots and assist in sequestering water and nutrients. Mycorrhizae help to protect the tree from disease-causing fungi and other stressful conditions while enhancing general tree health. Ensure 2x faster establishment: Roots with mycorrhizae spread over the available space more rapidly thanks to their spectacular extension. 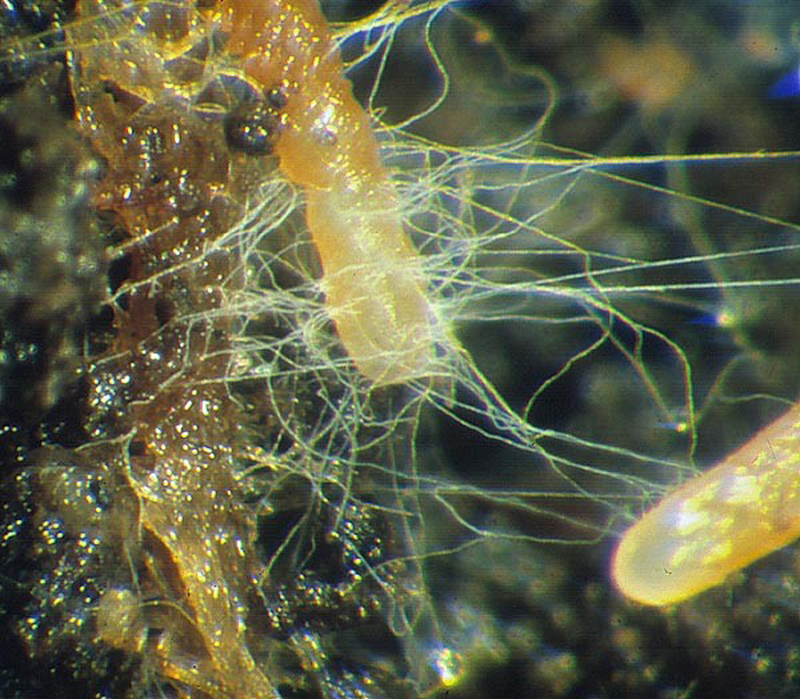 Reduce watering needs by 30%: Roots with mycorrhizae have more surface area to absorb water. Increase survival by 75%: Roots with mycorrhizae have a greater capacity to absorb nutrients from the soil. Therefore, you get plants that are healthier, more vigorous, and more resistant to stress. Increase phosphorus absorption to the detriment of blue-green algae: Up to 80% of phosporus absorbed by plants is by mycorrhizae. 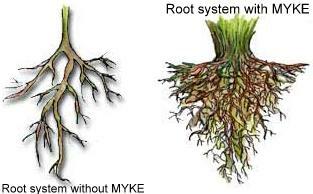 Improve soil structure and prevent erosion: The root extension provided by mycorrhizae holds soil particles together, which reduces erosion. Furthermore, by improving soil structure mycorrhizae allow better water penetration of about 25%, thus slowing down erosion and stabilizing the soil. Environmentaly safe: Mycorrhizae is non toxic and safe for both the environment and the health of gardeners and their pets.